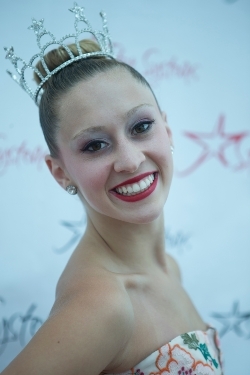 Our very own Haley Herina, IHA Class of 2017, danced her way to the national title of Teen Miss Superstar! 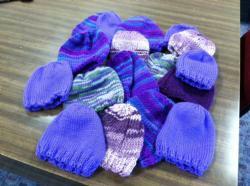 Knitting Club moderator and faculty member, Mrs. Deb Suta, received a request from Mihiri Pathirana, executive assistant at Prevent Child Abuse - NJ, asking if the IHA Knitting Club could knit purple hats for them to distribute to new parents in November and December. 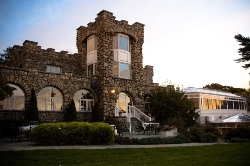 IHA's Open House is Wednesday, November 5 at 6:30 p.m. Register online today! On Sunday, September 28, 2014, Christine Jacob’17 was given the opportunity to perform a traditional Indian dance in front of India Prime Minister, Narendra Modi, during his visit to New York City. 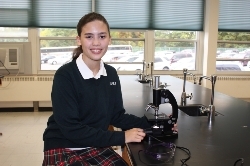 Emily Rea’18, a member of IHA’s STEM@theheart program, was recently selected as a semifinalist in the 2014 Broadcom MASTERS®, a program of Society for Science & the Public. 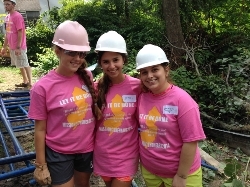 This past summer, twenty-eight IHA students and six chaperones participated in a very special Mission@theheart trip. Mission@theheart is a four-day, three-night service intensive focused on promoting social justice and direct service to those in need throughout New York and New Jersey. 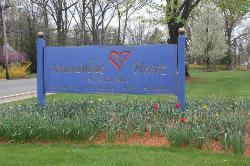 The Immaculate Heart Academy Blue Eagle Open, to be held on Sept. 29, supports the KariAnn Dellapenta Memorial Scholarship Fund. 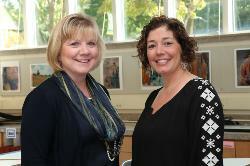 Mrs. Lisa Encke and Mrs. Patrizia Proscia's presentation, "Designing an Art Education Learning Environment," was accepted for inclusion in the program for the 2015 NAEA National Convention in New Orleans, Louisiana from March 26-28, 2015. New Food Service and Cafeteria Update! In the 2014-15 school year, IHA will introduce our new cafeteria services: Cater to You Inc. This unique company specializes in providing private schools with fresh, quality, healthy meals from sustainable and local resources.